At this point, we’ve discussed the need for a Special Assessment in great detail. You’ve done all of the work, but your Owners rejected your plan. We’ll assume for the sake of this article that the work simply must be done, so we’re going to discuss what your options are to move the ball forward if your Condo Association Special Assessment vote fails. If you only failed by a relatively slim margin and the work is not so urgent as to be considered an emergency, your best bet is to redouble your engagement efforts and attempt to issue the vote again. You’ll want to make sure you revisit the basic outreach efforts and communications, as well as surveying the opinion of owners. You’ll get a good idea of why you failed, and hopefully you can make some tweaks to the proposal – whether substantive or just optics – that will convince people to vote in favor the second time around. For example, perhaps you didn’t offer financing and Owners really wanted that. Figure out how to make it work and get it back out there. Another option when the situation is not extremely dire is to wait for things to fail and then revote. For example, if you are having issues of leaks throughout the building from a failing pipe system but your Owners refuse to pay to fix it, wait for another bad leak, then advertise the hell out of the issue to Owners and then revote. Sometimes people want to see things fail badly before they’ll do something. In some cases this isn’t an option, but it is something to consider. 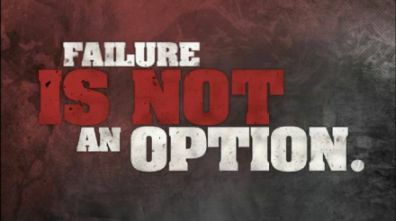 Failure is not an option… so figure out how to do better. While you may have put it out there for Owners to approve, it may be that your Special Assessment really wasn’t optional. The bottom line is you’re about to have bad stuff happen – maybe your fire system will fail and you’ll go on fire watch, or your roof is a mere year away from a near total failure. Under these circumstances, you’ll need to take more direct action. First and foremost – consult your lawyer if you haven’t already. The combination of differences in CC&Rs and local statutes make it impossible for a one-size-fits-all solution, and once you’re in this territory, legal issues are guaranteed. That said, you have a job to do. You have three potential workarounds if your Condo Association Special Assessment vote fails: an emergency assessment, smaller Special Assessments, or a big loan. The first is to issue an “Emergency Assessment,” if one is allowed under your Bylaws. This is essentially a mandatory Special Assessment, provided there is a clear and imminent threat to the Association. This is helpful for solving things like a leaking or failing roof. It is not as helpful for systemic issues, such as a partially failing facade or garage. Typically you can only repair the part that’s in imminent danger, so you end up spending a lot of money in project mobilization because you’re carrying out one-off repairs as opposed to fixing the whole thing. That said, it’s one option to pursue. Your Owners may challenge it legally, which will then add legal costs to the whole thing. This depends strongly on the amount of money your Bylaws allow to be assessed. Say you have a big project that will cost your Owners $15,000 per unit in Special Assessment, but your Bylaws require a vote for anything over $5,000. You can, potentially, structure the work such that you are assessing $5,000 three times without a vote. This will look bad in any disclosures for future sales, and your Owners will be unhappy. But if the work must be done, it is yet another option if your Condo Association Special Assessment vote fails. Sometimes you need the money. But be careful you don’t develop a weak financial foundation. Most CC&Rs don’t actually have a cap on how much you can raise Condo fees annually, and such raises don’t require a vote. Another option is simply to take a loan on all of the money and hike Condo fees to pay the interest. 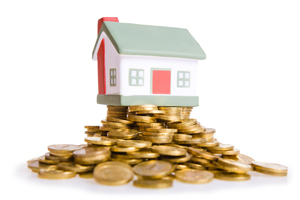 This can result in a huge spike in costs that may lead to delinquency among Owners and hurt property values as your property suddenly has higher fees than everyone else. But again, this is about desperation, not ideal scenarios. No matter what happens, be transparent and open about why you’re doing what you’re doing. It may not be what your Owners want to hear, but if the facts are clear that your Association is facing significant hardship and safety issues, the bottom line is your job as a Board member is to carry out your fiduciary duty and do what’s right to protect the Association. You may get voted out, but if you save your Association money and keep it whole, you’ll have done your job. It won’t be easy or pretty, but sometimes that’s your only option when a Condo Association Special Assessment vote fails.